DREAM CATCHER Han dong has made special memories with "Insomnia." On April 31, Han-dong held a birthday fan meeting "Dreamcatcher Handong's Fan meeting" at the Mpot Hall of Samik Art Hall near Hakdong Station in southern Seoul and met with about 150 fans. The fan meeting was a venue for visitors to meet the sweet voice unique of Han dong. 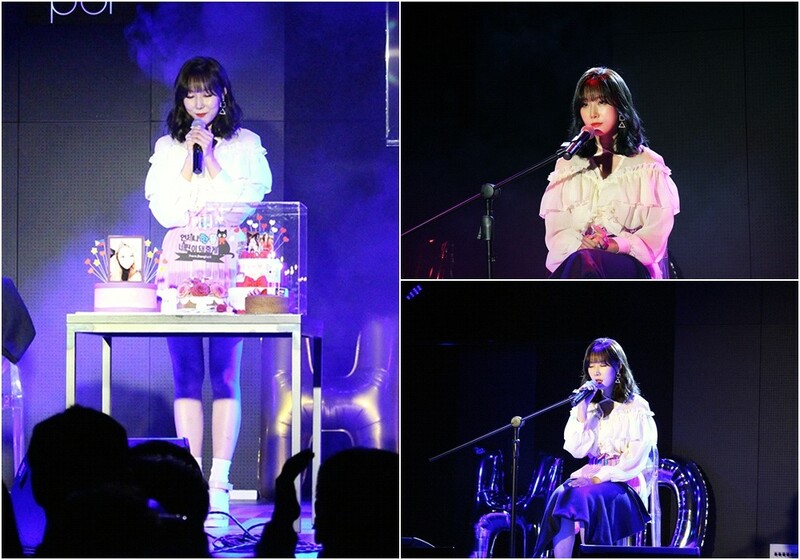 First of all, Han Dong sang "Yuki no hana" by digesting both Chinese, Japanese and Korean, gave an emotional performance through Song Ha yae's "Stay with Me" and Wendy's "Because I Love You"
Even after all the fan meeting sequences were completed, Han Dong showed her sincerity by visiting fans at the entrance of the concert hall in person to see them off and deliver them to the photo cards. Han dong said "I was worried and nervous because it's a fan meeting that we're holding without members, but I think I had a great time because you responded so much. I was truly happy. I'm grateful to all the people who were with me today,"
Dreamcatcher, the group of Handong, is scheduled to held a meeting with local fans with its solo concert "Invitation from Nightmare City In SEOUL" at the Shinhan Card Pan Square Live Hall in Mecenapolis, Mapo-gu, Seoul, on 6 and 7, and also in Tokyo and Kobe on May 2 and 4.